Looks like fun - the water looks swift! Looks so lovely and green! Your right, it's beqautiful... My kind of natural place! 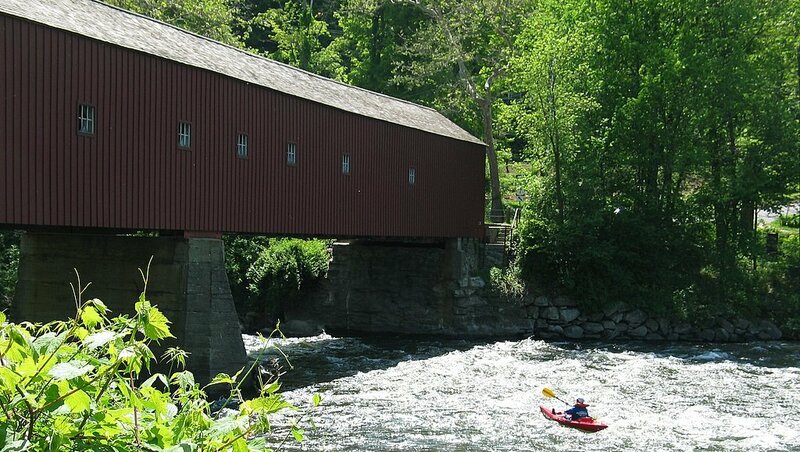 And I love those covered bridges! Oh, I'd love to join that person!